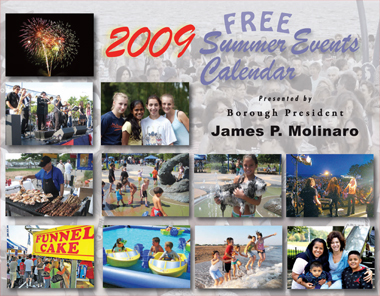 Staten Island Borough President James Molinaro has announced free events on Staten Island for this Summer. There may not be the big name acts that you would find at the free events on Manhattan or Brooklyn this Summer, but there is more than enough to keep families entertained. Don’t forget to go to Eggers Ice Cream Parlor and Ralph’s Ices after the events. All I need is a Denino’s Pizza and I’m set.